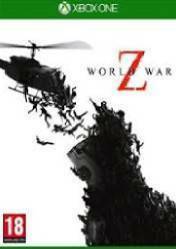 Attention: This version of World War Z is for Xbox One and many of the stores listed on Gocdkeys offer an account format version. The PS4 and Xbox One accounts give access to the game simply by accessing them through a username and password that you will receive by email after purchase. These versions may have a regional lock and are marked with the "Account Format" label in our price list. If the store does not have a tag, it means that the game is a physical version or a version in key form, which we simply enter into our account, PSN or Microsft, to activate it.